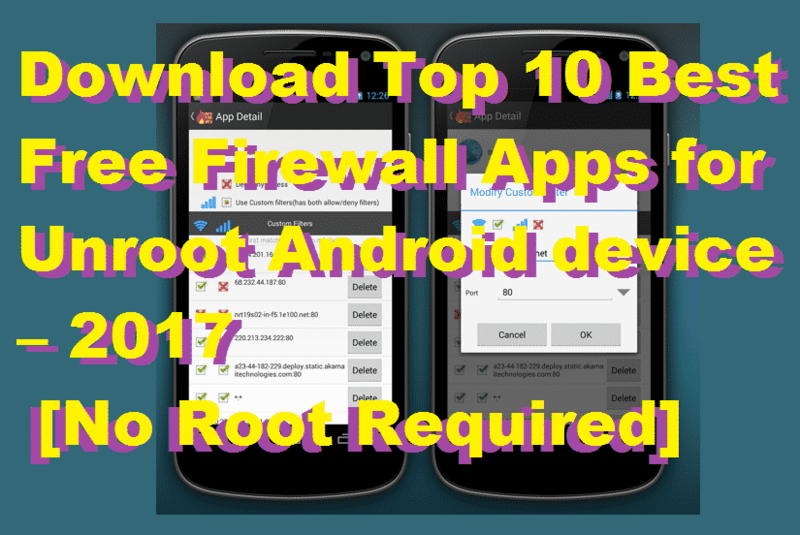 I will share top 10 best free Firewall Apps for Unroot Android device. You can download all the Firewall application for your Smartphone. These all firewall apps will work on your Android device. They are unlimited version and will work to reduce the risk of security leakage from your Phone. 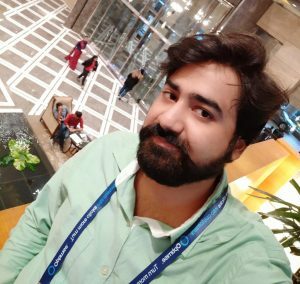 0.1 What is Web Application Firewall? Most of you probably know that the Firewall is a control barrier between your network and untrusted networks, but if you are not aware of Firewall applications, then we are here to give you a brief on this. As the name ‘Firewall’ suggests it is a Wall against Fire, i.e., it protects your device from Malware attacks. It controls and monitors the network connections based on some predetermined security rules. They prevent your device from unwanted and dangerous connections. Prevent your details from outside networks. Let’s check out the Top 10 Firewall applications that don’t need a rooted device to work. These firewall apps for unroot Android device will work on any Android device. Note: All these apps are available at official Google Play Store. Improves the battery performance of your device. Reduces your data usage as it restricts apps from consuming data in the background. Set the limitation of various foreground operations. Secure your device from untrusted connections. Notifies you when an app tries to access the internet. This application requires no root access to set up the VPN network, and it is relatively more straightforward to use for beginners. It can block data to be used by some system applications. This firewall app will also alert you when an app accesses the internet. It has only one drawback that it is not entirely free and you have to pay for its premium version that has some additional features worth the cost. It can disable background data connection for different apps. Monitors and controls the information sent and received by any application. Allows you to specify rules for new applications. It helps in removing traffic to specific ad networks. Comes with a simple interface that is very easy to use. Protect apps from unauthorized access to the ‘Password protect’ feature. Record and analyze the data usage of suspicious apps. Protects all your data by offering Domain/IP filter functions. Block internet access for suspicious apps. It can check, allow or disable internet access for some apps. It is generally for the advanced users like those who are well known with the IP addresses, port, and range functionality. Kronos firewall doesn’t require any access and accompanies with many inbuilt features that will ensure to keep all your activities safe and effective. It is one of the most trusted firewalls and even occupies an excellent rating on play store. Control and block internet traffic from some apps. Ensures protection of your personal data from suspicious servers. No advanced skills are required to operate Kronos FW. Doesn’t require any internet permissions. One of the most reputed names in the market of antivirus. But you might be wondering why it is mention in the “Top 10 firewall list”? It is because the firewall is one of the unique features that come with this light-weight application. If you want to have a more vast experience with this app, you can opt for having a premium subscription. You can enjoy all the services free of cost for lifelong. Ensures privacy of your device’s data. Works properly for all LTE devices. Monitors and optimize data usage and battery performance. AVG performs much more protection, performance, privacy, and theft features. It is the last but not the least app on our list. Power packed with some cool features but it’s one of the primary function is that it works as a scanner and filter for SMS applications. Filters and detects spam messages that can cause a threat to your device. Monitors notifications and detect the suspicious ones. Safeguard the privacy of the user. These are the best free firewall apps for Unroot Android device. All of these applications are working fine. These firewall apps don’t require any root. If you know any other free firewall app for Android phone. Then, do share with us in comments below and don’t forget to share this article with your friends.